We've refreshed your payment history page to a more modern design and to make your experience better. You can also now directly download your invoices as a (newly designed) PDF! Code reviews are essential, but most teams don’t have the resources to do it as often as they should. This is where our community steps in. 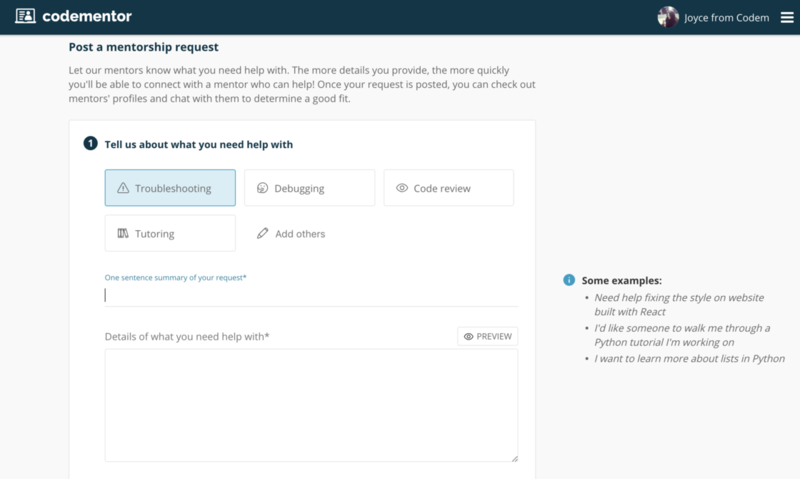 With our new code review service, our best developers make it their mission to help you ship high quality code. Or read our FAQ to find our how it works. 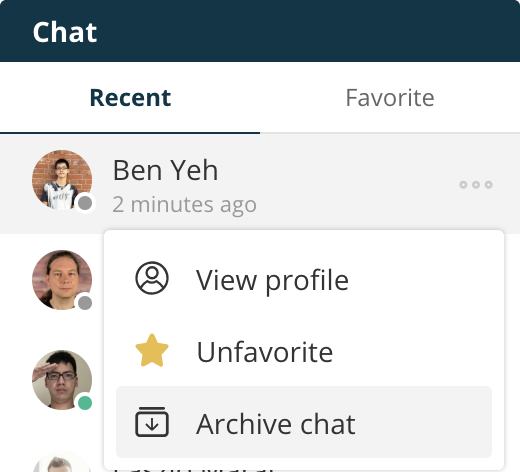 We're excited to share a new feature: archive conversations! You can now archive conversations with mentors from your contact list and from a specific chat window. Once you archive a conversation, it will be removed from your contact/chat list. Should you need to access it again, you can open the conversation from the mentee's profile. If the mentor sends you a new message, the conversation will also reappear on your contact list. 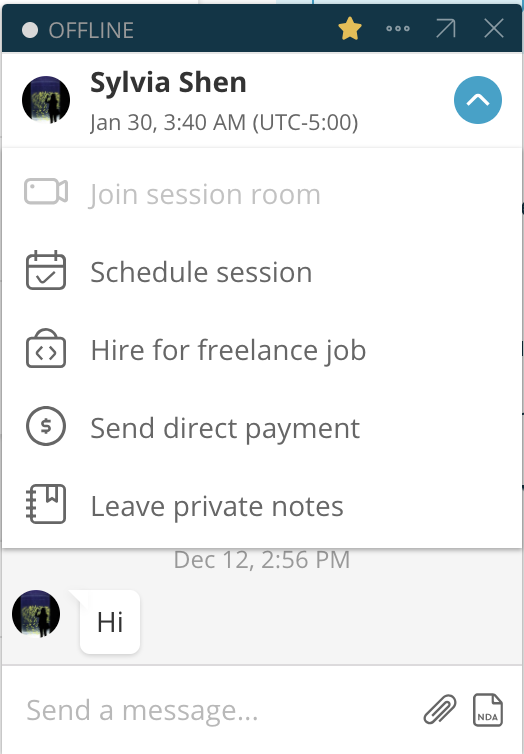 We've added a new "private note" feature in your chat dropdown menu! 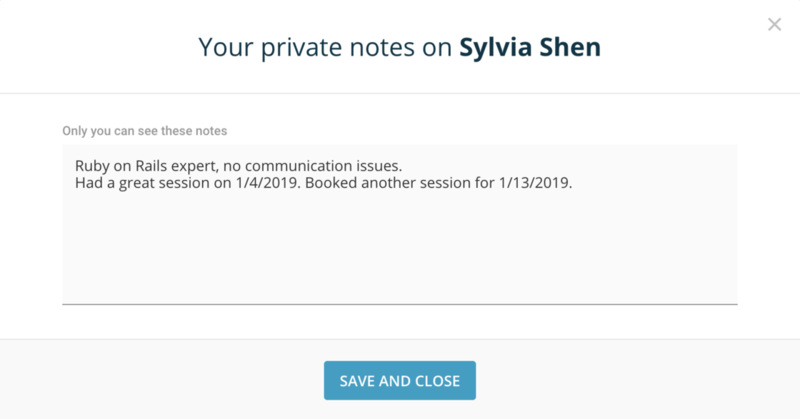 This allows you to leave private notes that are only visible to you for each mentor. We recommend leaving notes for information like timezone, a summary of your previous communication or session with the mentor, deadlines, agreements made with the mentor, and more! We've made it easier for you to view mentor profiles of interested and recommended mentors on your request. 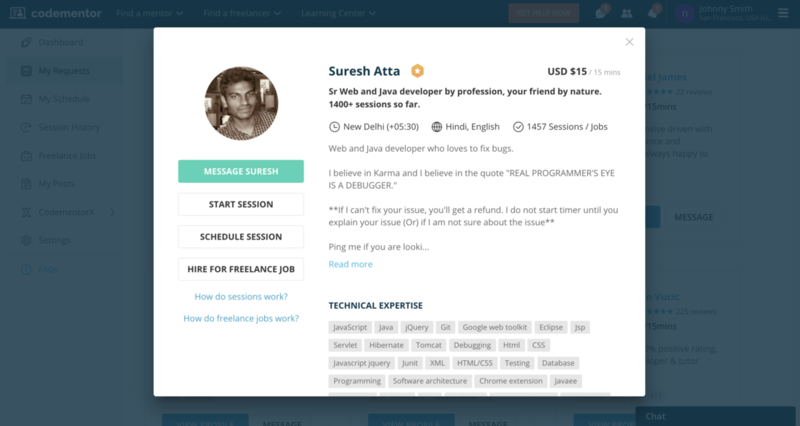 From the new profile window, you'll also be able to message the mentor, start a session, or hire for a freelance job! We've released a new version of our mobile apps for iOS and Android that have been rebuilt from the ground up. Have you had a chance to try out the new app yet? Let us know what you think! Note: If you signed up with a social account, you'll need to "reset" your password from this page. Once complete, you'll be able to log in with your email and new password. 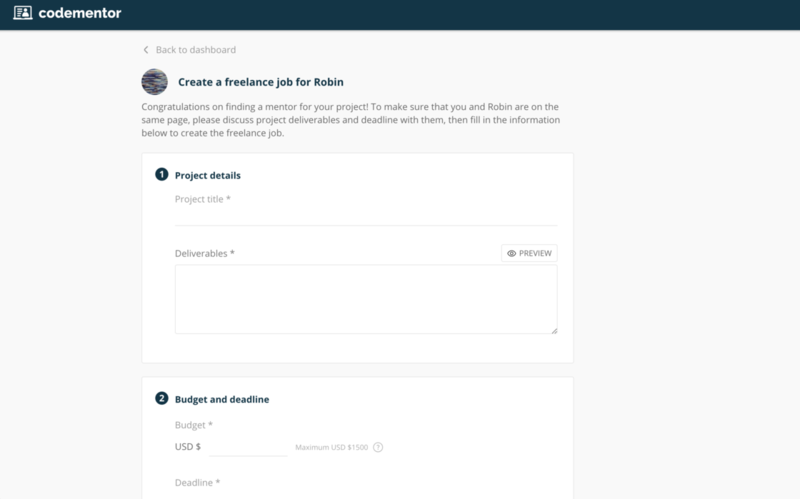 We've made a change to the form you use to create freelance jobs. You'll now be required to fill out "deadline" and "deliverables" when creating a job. Please be sure to confirm all project details with the mentor prior to creating a job! 🖥All new UI to make it easier to see the current status of the session, for new users to start a session, and to use your favorite audio/video software. 💬New session room chat: your chat messages from before a session will carry over to the session room, and vice versa. ⚙️Under-the-hood improvements to make your session room experience more reliable and secure. We've updated our request form for mentorship and live 1:1 help to make it even easier for you to find mentors for live sessions. The new form will ask you to provide more details about what you need help with, including the type of help you need and estimated hours. When filling the request form out, we highly encourage you to provide as many details as possible — this will speed up finding the right mentor! Surely Codementor will start publishing changelogs very soon.